My quest to learn as much as I can about smoking meat continues. Recently I’ve smoked a meatloaf and the whole family agreed that it was pretty tasty. So now it’s time to step it up a little and try a real piece of meat. I’m still not ready to try an expensive cut of meat like brisket yet so this time I’m going to try smoking a roast beef. 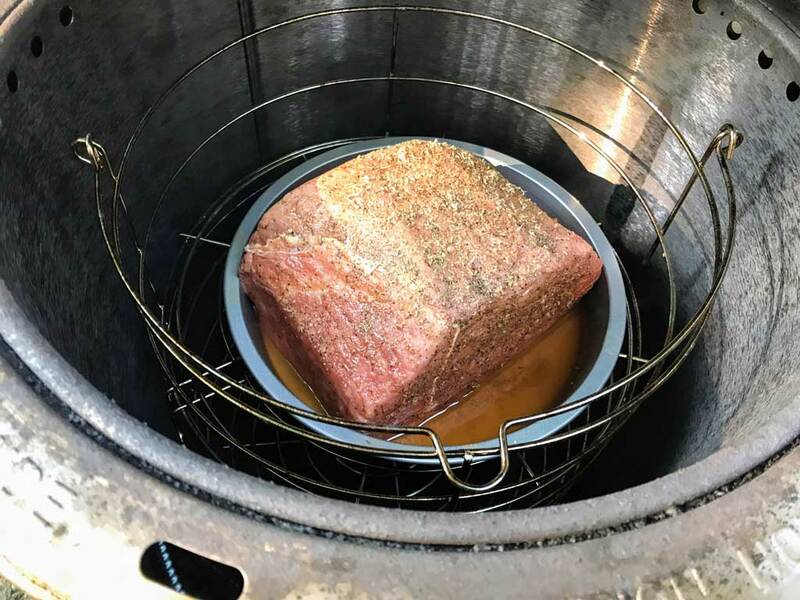 If you want to know how to smoke a top round roast or at least how I do it, then read on. First things first, what the heck is top round? My meat cuts knowledge is limited so I figured I should learn some of this stuff. I’m tired of going to the store and seeing some cut of meat that I haven’t the foggiest idea what part of some animal that it came from. If I saw Wookie Buttocks on the package label it really wouldn’t surprise me. I’d do what I always do and take out my phone and Google Wookie Buttock recipes. I have learned that Top round roast is cut from the inside of rear legs of the cow. It’s a large, tough, budget friendly cut of beef. Hey budget friendly is my middle name. It’s also the cut that’s most often used for the roast beef that you would buy at a deli. I thought that London Broil came from that same portion of the cow and it does. But London Broil is not a cut of meat. London Broil refers to the cooking process of marinating a top round steak and then grilling or roasting it. So even though the butcher labels it London Broil it’s really a top round steak. 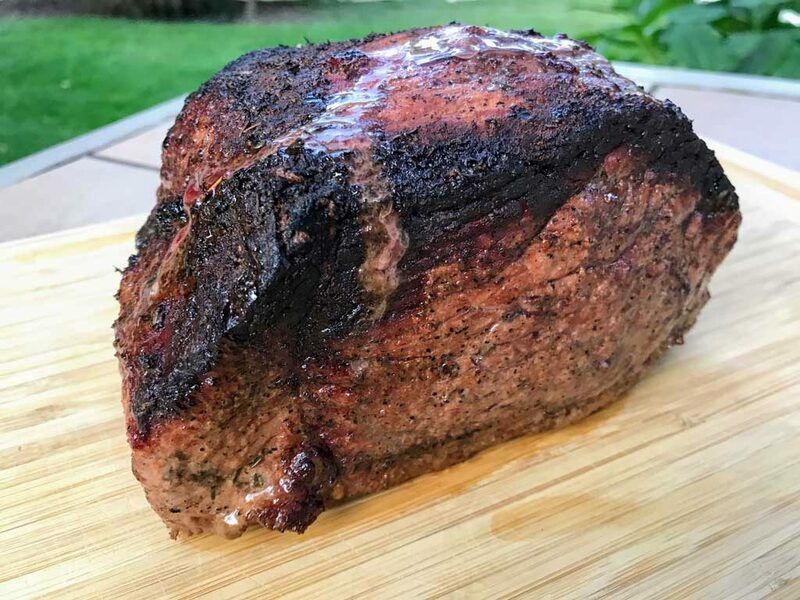 This is good information to learn how to smoke a top round roast. So I bought a 5 pound Top Round Roast from the supermarket and seasoned it with salt, pepper and garlic powder. Next I fired up my trusty Char Broil Big Easy Smoker and filled the wood compartment with hickory. Oak would be another good wood to try but I didn’t have any. Next time I’ll try Oak. The Big Easy Smoker doesn’t get those really low temperatures like other smokers. I think the lowest I can get it with the top closed is about 225 degrees. So that meant that my roast was done in a little under 2 hours. When it got to an internal temperature of 135 degrees I took it out and let it rest about 5 minutes. It continued to cook a little after I took it out of the smoker but it came out nice and medium rare.